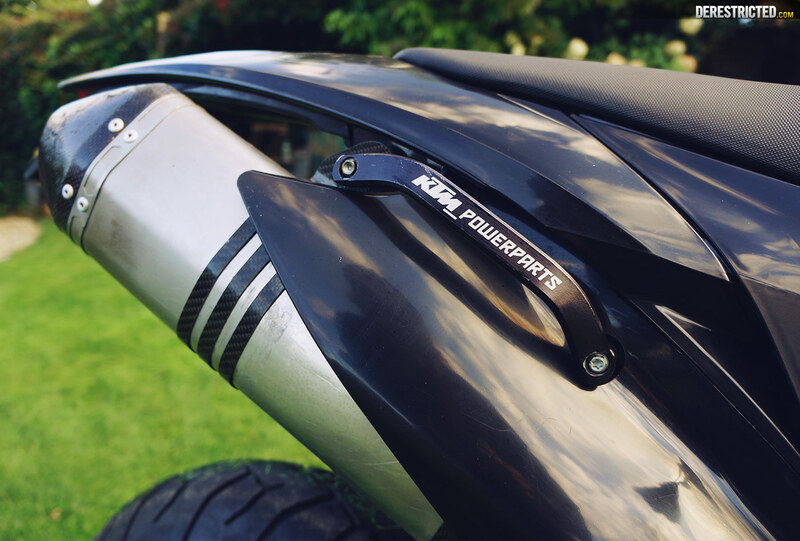 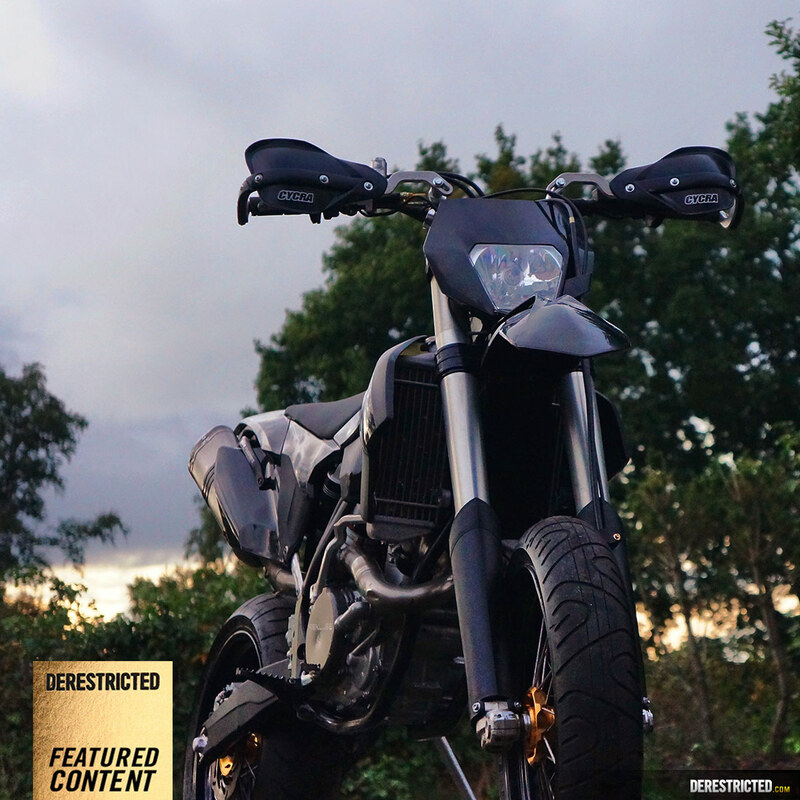 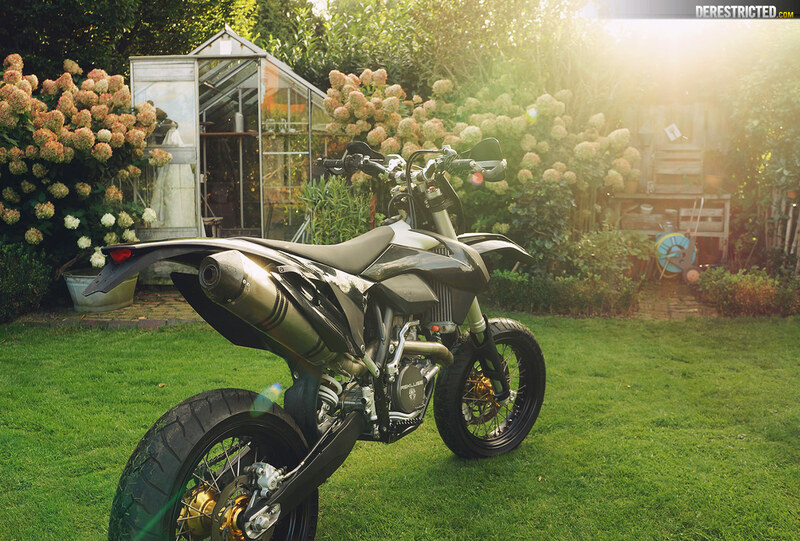 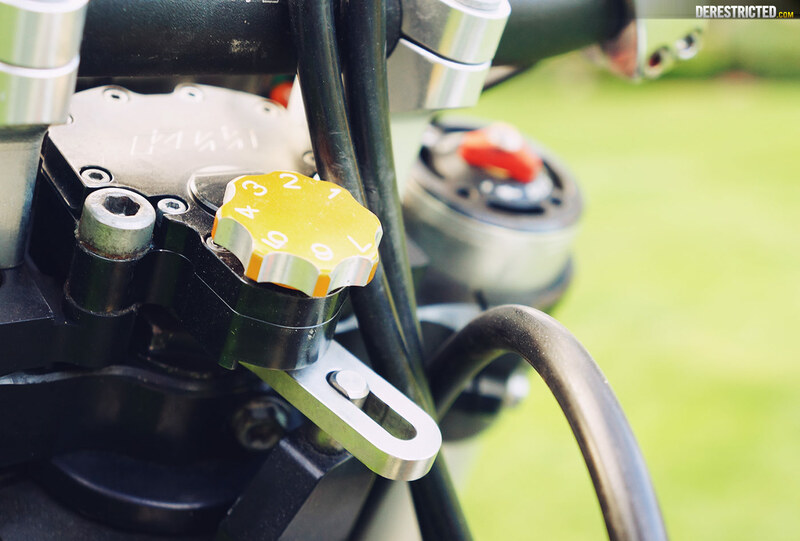 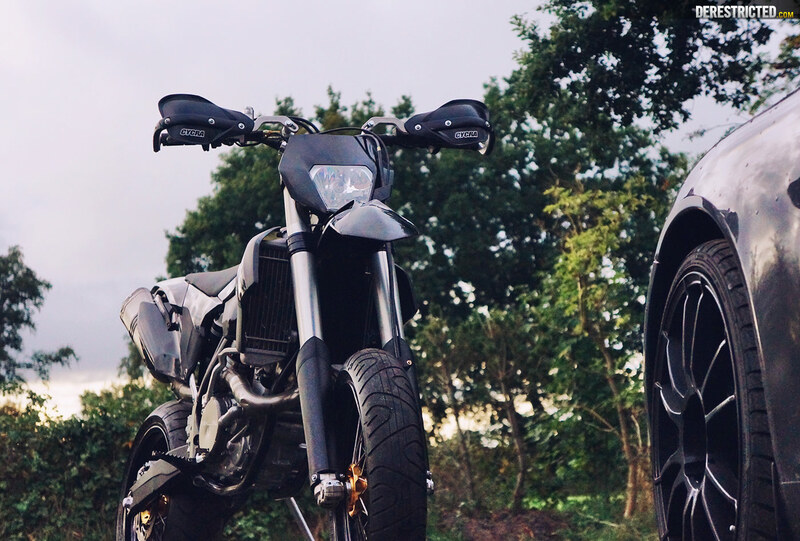 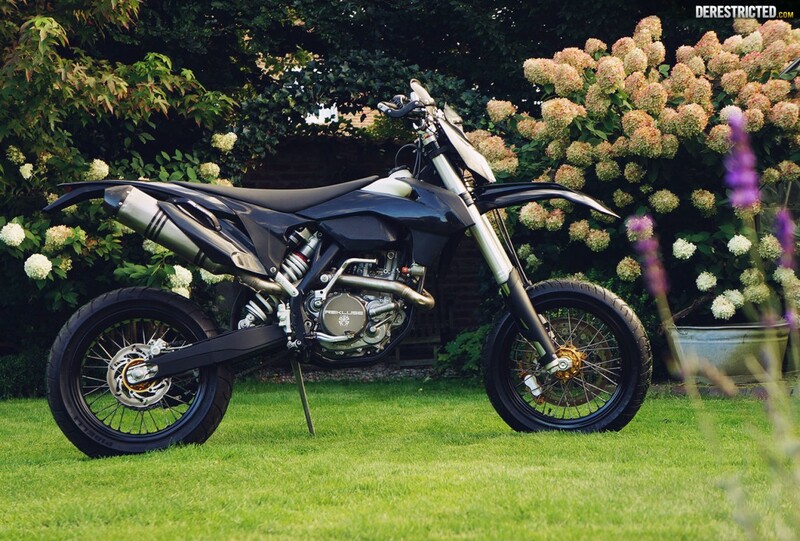 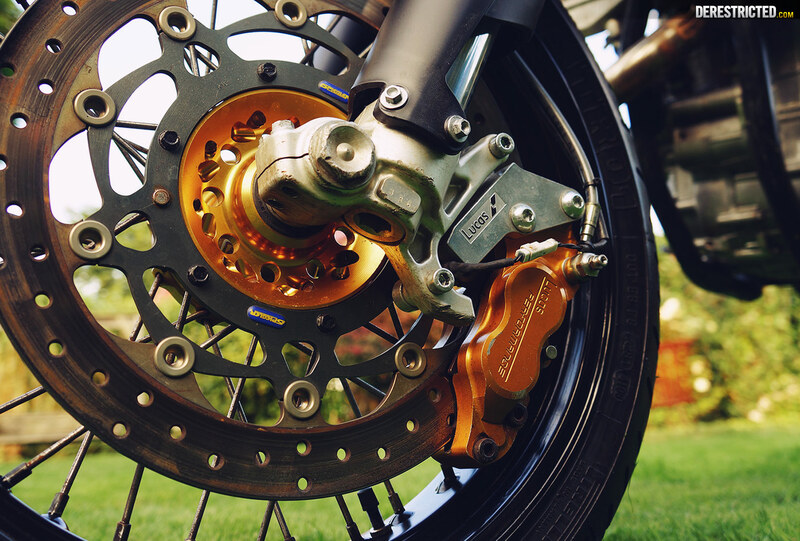 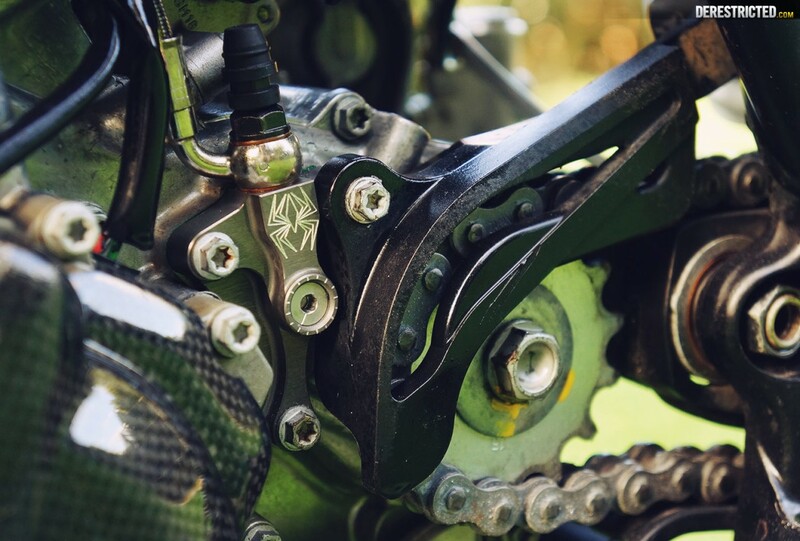 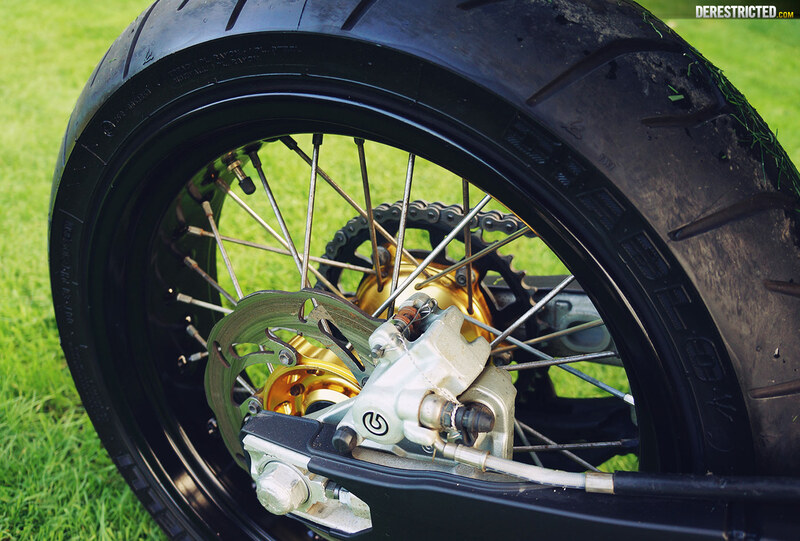 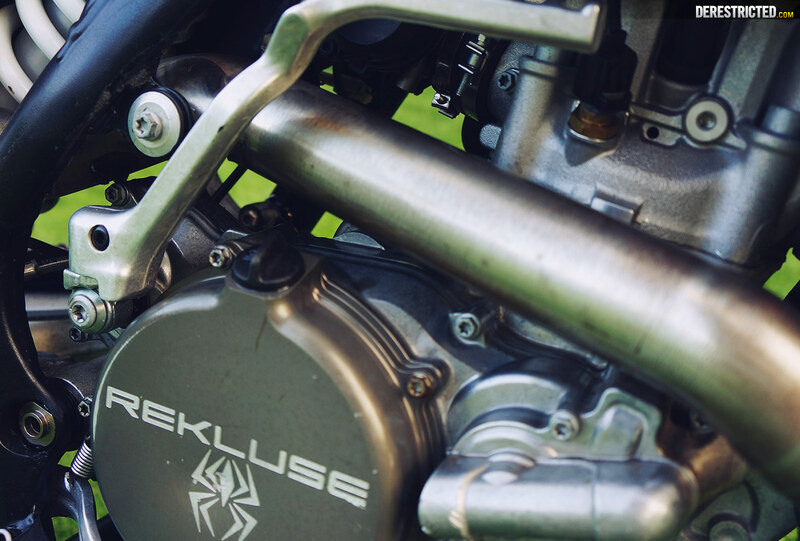 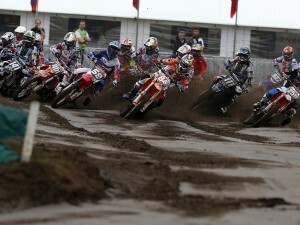 Lars Behrendt from design agency Granny & smith sent me some photos of his Supermoto project. 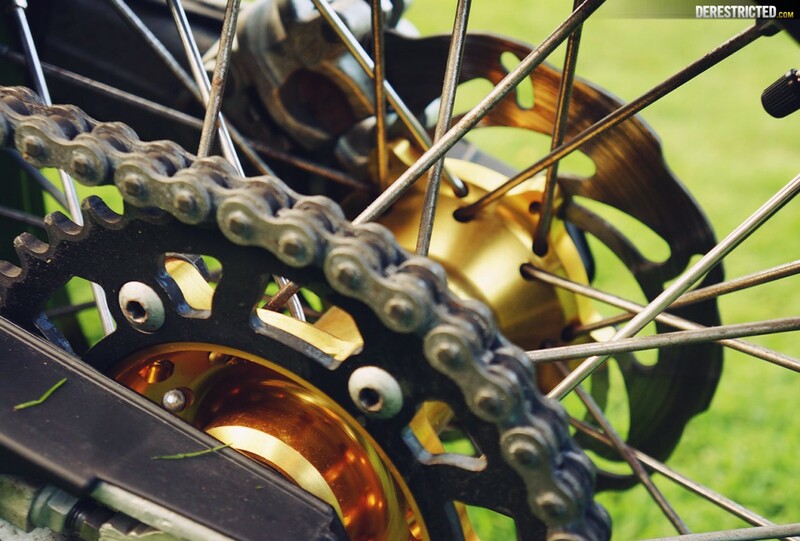 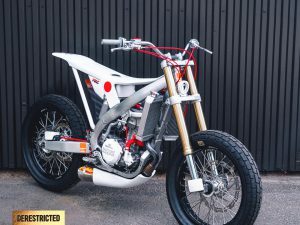 He used to ride it in stock form as a enduro bike, but after the sea-to-sky race the bike took a bit of a beating and so he decided to build it up completely new as a supermoto. 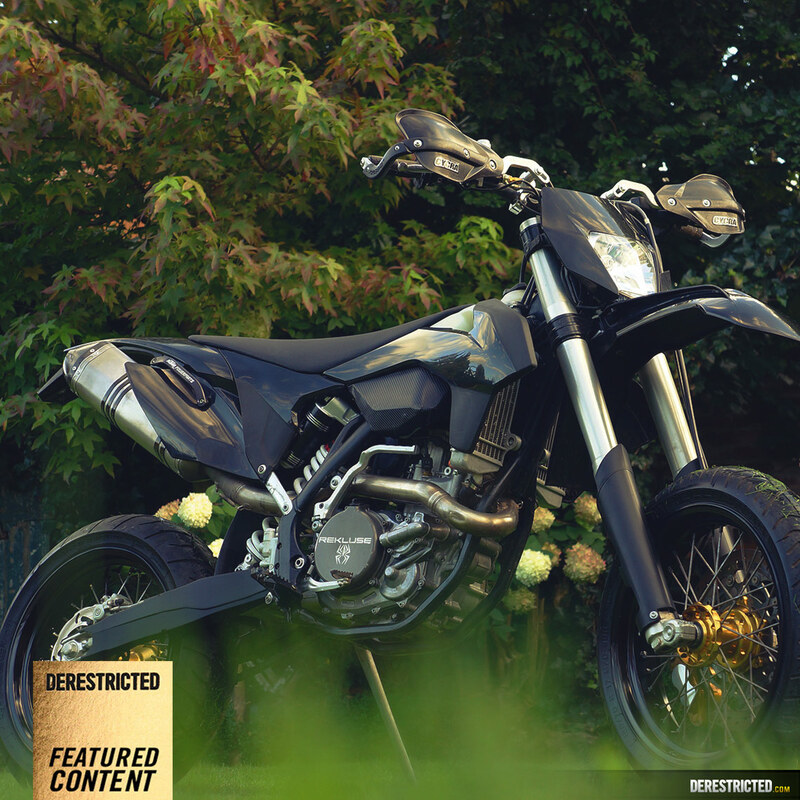 He is more into enduro than street biking so is planning to sell the bike to get another Enduro. 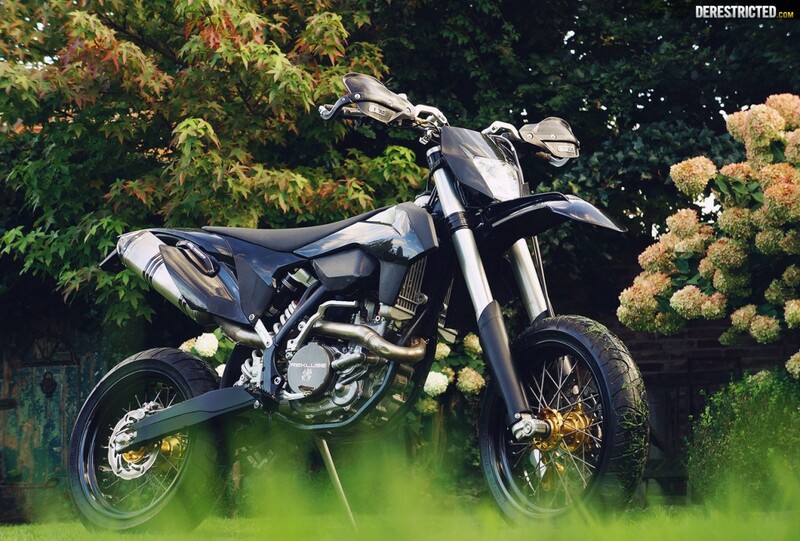 Send him a message via www.grannyandsmith.com/kontakt if you live in northern Germany and are interested in buying a pimped out supermoto.